Give your callers more than just a ring! 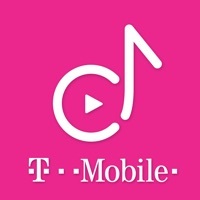 Manage your T-Mobile CallerTunes® ringback service. 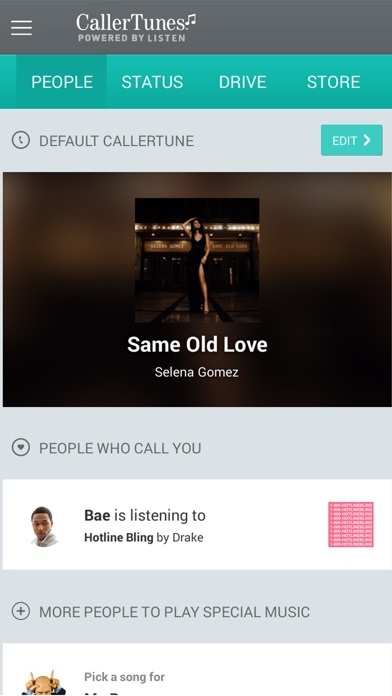 Play music and status messages to your callers while they wait for you to answer the phone. Choose from thousands of your favorite songs to play for your callers or create custom status messages. 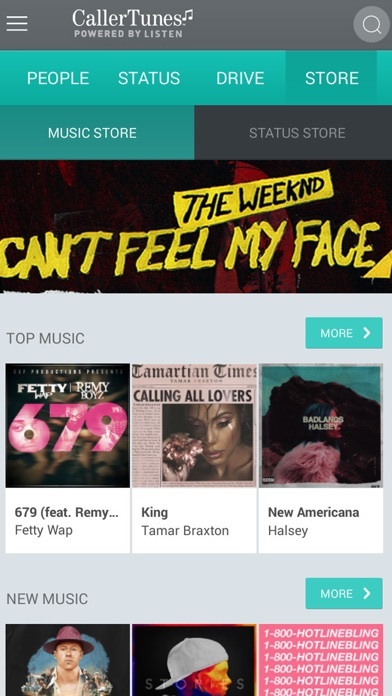 CallerTunes Powered by LISTEN subscription includes: Music: Play music or status messages from our robust catalog of your favorite artists and genres. 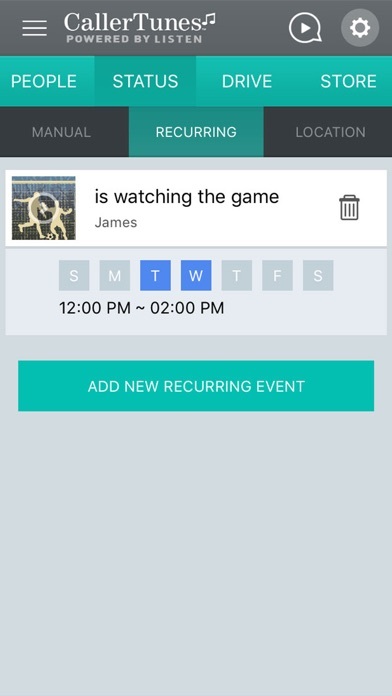 Record Your Status: Create your own 30 second voice status message to play to specific callers Personalization: Enable special songs to play on holidays or special occasions---like Mom's birthday. 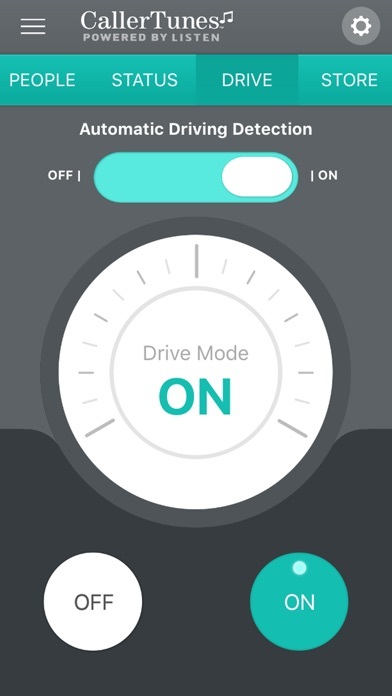 Location: Automatically set a status message to play to callers based on your geographic location Drive: Automatically detect when you are driving and play a message back to callers allowing you to safely communicate to friends & family when you are behind the wheel. 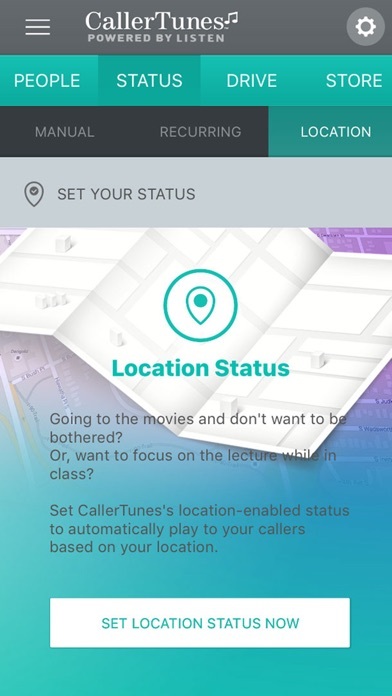 Start playing CallerTunes and personalized messages to your callers today when you download the app! Disclaimer: Continued use of GPS running in the background can dramatically decrease battery life. Needs enough Spanish music !! First off, the caller tunes service just appeared one day on all 5 lines we have. With an annoying voice saying one moment while we connect your call. To change these settings I had to click the upgrade (for $5/mo) to even adjust any settings!! Now that I’m subscribed to the premium service, I only get to chose two songs a month??? This is a ridiculous and tricky way of sticking us with a feature that isn’t really that useful!!! I can’t get it passed the first screen asking me to upgrade!!! I try to click on the X to get off that screen and it will do absolutely nothing. My only option is to upgrade which I don’t want to do. I’ve reinstalled it 5 times. I shouldn’t have to upgrade to use the app, and I fear that if I do upgrade the app still won’t get me passed the first screen. How is everyone else able to use this stupid app and I can’t? It did the same exact thing on my iPhone 7, and now I have an 8. It does not tell you UPFRONT you have to pay $500 a month! Worthless piece of chit and waste of time! It will not let me proceed to use it unless I want to upgrade. I already “rent” a callback song through this service, but I cannot make changes unless I want to upgrade for $5.99. Tapping on the option to proceed without upgrading doesn’t take me anywhere. This needs to be fixed. When trying to click “no thanks” regarding upgrading and going into the app, the link doesn’t work. Downloaded the app and it will not open or work. Best when transparent about expensive subscription & stable connections. What can be great is disturbed. Why? The whole caller tunes thing is a genius idea I love it! However, i absolutely hate the fact that i cannot open this app without it repeatedly flashing the prompt to access my phone! It will not let me click anything it’s glitching! I eventually have to turn off my phone & start all over again because the simultaneous flashing messes it up and freezes my phone!!! Please fix this app!!!! Hasnt let me download anything in over a month. Won't stop with the pop-ups to access my location and even when I accept it keeps popping up rendering the app useless. Please include in the description that you need to pay to use the app. I love this APP and it does work smoothly, some of the songs just don't sound right. Allow to use current location keeps popping up and going away cannot get past it. My First negative Review, paying for this feature yet to have the app not function for me. Always telling me to try again later or check data connection. Most of the time my callers hear the normal ring instead of my CallerTune. I checked my settings and I have my default set up correctly. I might just cancel this service because I'm not getting what I'm paying for most of the time. Also, there is no option to buy extra credits. it says im driving when im sitting at work update call still goes thru even though im driving!!!! Fun but not enough music options and their for not as fun and great needs improving music selection. Add some 90's music and current like Selena Gomez and Shane Mendes as well as rehanna music as well as back street boys and Edwin McCain and various others . Not to bad just wish there was more funny stuff. It would seriously be a lot better if it had a better and bigger music selection to choose from. Other then that it isn't to bad. Need to update music in music store. Otherwise its ok. The idea of it is nice wish they allowed you to have more credits per month. Secondly why is it hard to find the tools section on their website as I don't see it to try to manage or buy more caller tunes. T mobile please fix this. Wish it was less pricy. Would definitely invest more into buying songs if it weren't $5 a month. Reduce the monthly price and you will see me buying more content on the app. I really like having this because it makes it so easy to customize Ringback tones. Give your callers something better than a ringtone while waiting to be spoken too or lighten the mood of someone calling you too. I wish that we could purchase credits outside of what we get every billing cycle. And it would be nice if we were allowed to use our own music on our devices for free hope you will consider that. THIS SERVICE DOES NOT WORK PROPERLY! SUPPORT IS NO HELP. THEY CONTINUE TO TELL ME THAT THEY'RE LOOKING INTO THE TECHNICAL PROBLEM. SUPPORT IS A JOKE! SAVE THE $5.00 PER MONTH FEE! THE COMPANY IS A SCAM! Never received text message with PIN to proceed with registration. After trying multiple times, I just uninstalled the app. How hard is it to manage a Caller Tunes service? The web application has seen some *unhelpful* changes as well. I'm leaning towards removing the service all together when all songs expire.